For many years it was thought that the best method for women to lose weight was to do plenty of cardiovascular exercise, using equipment such as treadmills, steppers, stationary bikes etc. However, although aerobic exercise provides many benefits; too much can actually hinder efforts to reduce body fat. Unfortunately many women do not understand the true benefit of adding resistance training to their regular exercise programme. This however could not be further from the truth. Women do not possess enough of a hormone called testosterone to allow regular weight training to have this sort of effect. Testosterone is a hormone that is dominant in males and is mainly responsible for muscle growth. Therefore, due to hormone levels and women’s general “genetic makeup” it is very difficult for women to “bulk up.” In fact, in order for a women to even start to look like a body builder, she would have do hours on end of VERY heavy weight training and eat a very specific diet indeed. What most women don’t realise is that by engaging in a weight training programme they will actually decrease their body fat and lose inches. This is because increasing the amount of lean tissue in your body will raise your metabolic rate because muscle is more metabolically active than fat. This means you will burn more calories whilst you sit watching Eastenders than your friend next to you who only does aerobic exercise! Traceys Top Ten Reasons to Weight Train! As you gain lean muscle from strength training your resting metabolism will increase, so you will burn more calories all day long. For each pound of lean muscle you gain you will burn 35 to 50 more calories daily. So, for example, if you gain three pounds of muscle and burn 40 extra calories per pound, you will burn 120 calories per day, which is approximately 3600 calories per month which equates to a total loss of around 12 pounds in one year!!!! You will be a stronger woman! Studies indicate that moderate strength training will increase a woman’s strength by 30 to 50%. This extra strength will make it easier to accomplish everyday tasks such as gardening, cleaning, carrying shopping and playing with your children. It will also reduce your risk of becoming injured. It is reported that most strength differences between men and women can be explained by differences in body size and fat mass. When assessed pound for pound it is said that women can develop their strength, but not bulk, at the same rate as men. combined with adequate calcium and vitamin D from the diet), the most effective tool in the battle against osteoporosis. 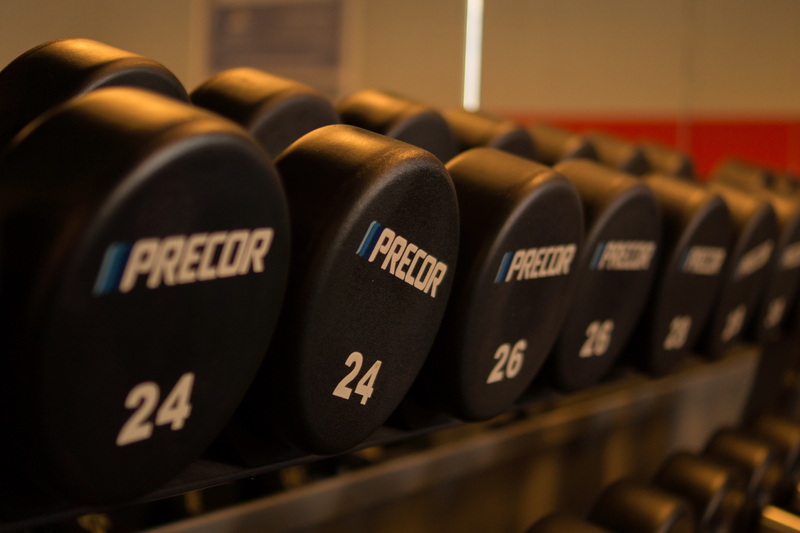 Strength training can improve your cholesterol profile (lowers LDL cholesterol – “bad cholesterol”, and increases levels of HDL cholesterol – “good cholesterol”) and blood pressure, according to recent research. When cardiovascular and flexibility training are added to your programme these benefits are maximised. Numerous long term studies have shown that strengthening the lower back muscles can have an 80% success rate in eliminating or substantially alleviating low-back pain. Other studies have shown that strength training can ease arthritis pain and strengthen joints. 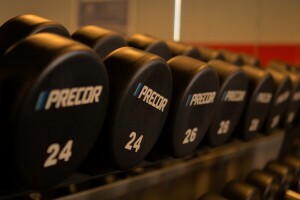 Strength training has been shown to greatly improve athletic ability. Golfers, for example, significantly increase their driving power. Not only does strength training help improve performance it also helps lower your risk of injury, no matter what your sport. Studies involving women into their 70’s and 80’s have proved no matter how old you are strength improvements are possible. However, a Strength Training professional should always supervise older participants. A Harvard study showed that a ten-week strength training programme reduced clinical depression symptoms more successfully than standard counselling did. Women who strength train commonly report feeling more confident and capable as a result of their programme. So if you are one of the many who are really struggling to lose those last few pounds or change your shape in the way you want to, despite all the hours spent on the stepper or doing aerobic classes, why not try adding some weight training to your programme. This simple change will help you break through that plateau you may have reached. If strength training is new to you, seek the advice of a certified Personal Trainer. This will ensure you are exercising correctly, safely and effectively. Always consult with your doctor before beginning a new exercise programme.